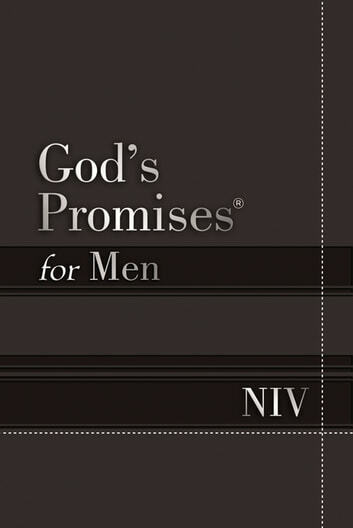 The timeless wisdom of God’s Promises, now available in the popular NIV translation. 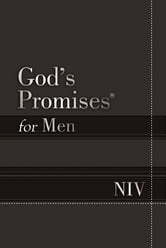 *God’s Promises for Men NIV *is the perfect companion for men who desire to strengthen their spiritual walk. Scripture topics include worship, accountability, and victory over sin to equip men to achieve their personal and spiritual best. This attractive and modern new edition in the bestselling God’s Promises series is designed to engage men on a journey of God’s power and presence in their own lives.